Had fun with the previous hacks, now try these to show your coolism. I think this will be my last post about Facebook Hacks because it’s a time for ‘Google+ Hacks‘. With so much complications in privacy settings, it’s confusing to know who can see what. 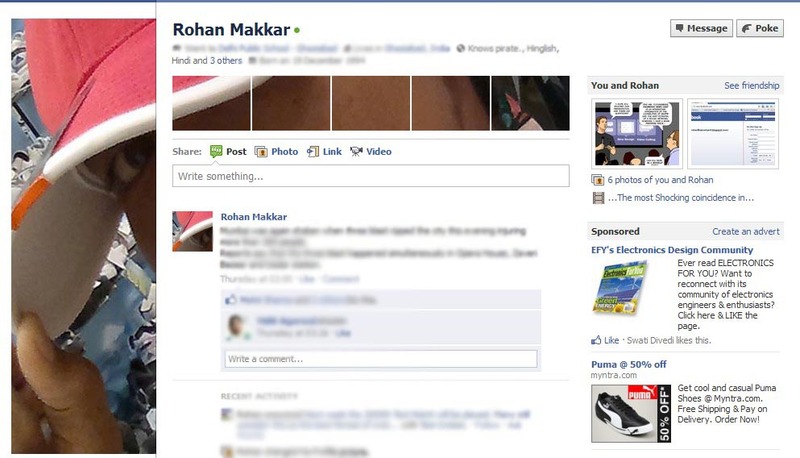 So Facebook allows you to see how your profile looks to other friends or most people on facebook. To see go to Account » Privacy Settings » Under the heading ‘Connecting on Facebook’ click view settings » Preview my profile. There are two critical settings which will allow you to secure your account and browsing within Facebook. First is “Secure browsing (https)” that will prevent your account from session hacking and the second is “Send me an email/Send me a text message When an unrecognised computer or device tries to access my account”. Both the settings will be found in Account » Account Settings » Account Security. Don’t like the new photo viewer on Facebook? You can view photos the old school way by opening a photo in a new tab. Just right click on a photo and select ‘Open in a new Tab’. Whenever you receive mails from facebook notifying for comments or messages, you can reply to the mails and your reply will be posted as a comment on status/picture. If you don’t receive mail turn it on from the account settings. This is really helpful in places where you are not allowed to open social networking sites. 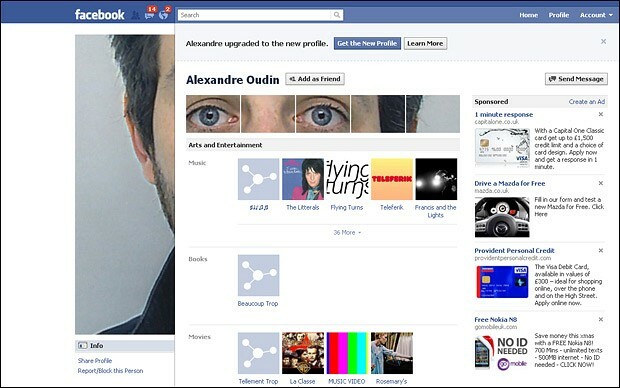 With the Facebook’s new profile page you can divide your profile photo into 6 parts(1 profile pic and a photo strip of 5 recent photos in which you were tagged). There are some applications which allows you to write some funky text in the photo strip but dividing your own picture will be much cooler. Look at picture below to know what you can do with this trick. Alexandre Oudin, a French artist. 1 You need a photo of at least 692 pixels wide and 540 pixels high and a photo editor. I did it with Photoshop CS3. 2 To get your profile pic make a crop that’s 180 pixels wide and 540 pixels high. Note: Start the crop from the left most corner. 3 Now to get the photo strip, crop a 492 X 68 pixels strip. Start the crop from 20 pixels below from right-top corner of the image. Note: Google’s top searches say it should be 20 pixels but I took around 30 pixels to get it right. 4 Now, you have to divide the strip into 5 parts. The photos in the strips of Facebook have a gap of 2 pixels. 492 – 8 (4 * 2 pixels) = 484 and 484 / 5 = 96.8. So, you have to cut 5 photos of 96.8 X 68 leaving a gap of 2 pixels. As, Photoshop didn’t allowed me to crop the image in points I took it as 97 X 68 and the widened the last image as it was 1(.2 px * 5) pixels short. 5 The difficult part has been completed till now. Just upload all the 6 images on Facebook. First, set your profile pic which we made in the 2nd step. 6 Now, to make the strip, you have to tag yourself in the reverse order. This means, the photo which will be in the right most corner of the strip should be tagged first and the left most photo should be tagged last. 7 You’re done, just tell your friends to visit your profile. You need more than one try to get it right. 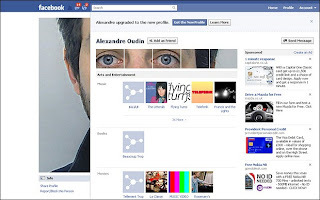 You have seen the image of Alexandre Oudin above now see my results below. It took me 3 tries to get right! !